Remember when I told you that the Planning Commission meeting Monday was going to be a biggie, HERE? Well, it looks like we're in for one heck of a double-header this week! 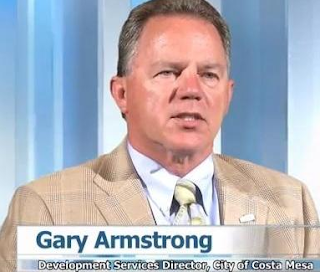 The next, Tuesday, March 15, 2016, the Costa Mesa City Council will meet for the second time this month beginning at 5:45 p.m. in City Council Chambers at City Hall in what is likely to be a very long and memorable meeting, chock full of interesting and controversial issues. Read the full agenda HERE. As you view that agenda, right off the bat you'll notice something different. The meeting will be preceded by a longer-than-usual Closed Session beginning at 4:30 in which the council will discuss four (4) litigation items! Yes, sir, the hits just keep on coming. Through January, 2016 the total legal fees for this fiscal year were $1.3 million. For the entire last fiscal year they were $2.15 million, so we're well ahead of the pace from last year. Discussing litigation will almost certainly put them in a good mood for the remainder of the meeting - NOT! Apparently Dr. Kirk Bauermeister will be presented with the most recent Mayor's Award Tuesday. He's a terrific community asset. WILL RIGHEIMER LOSE IT - AGAIN? 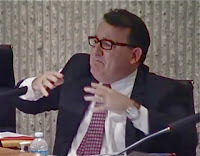 Public Comments - sometimes the most interesting part of the meeting comes next. It will be interesting to see if any comments provoke Mayor Pro Tem Jim Righeimer to lose his temper - again - and see him launch off on a tirade. That alone is worth the price of admission. WILL GARY SPEAK - AGAIN? Next comes Council Member Comments - you just never know what will happen in this segment. Last time around Gary Monahan actually had something to say for a change. WILL HATCH BE ALLOWED TO SPEAK? Then comes the CEO Report - that is, if Mayor Steve Mensinger will actually let CEO Tom Hatch report anything. Next up is the Consent Calendar, which has nine (9) items on it and at least a couple cry out for separate discussion and vote. These items are considered "routine" and could all be voted on in one vote. 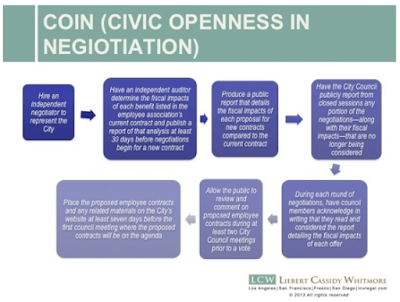 You will recall that if a member of the council, staff or public does pull an item for discussion, it will be trailed to the very end of the meeting - sometimes that means that interested parties may have to hang around until after midnight. Few do. So, let's take the Consent Calendar from the top. I'll only comment on those item I think may get pulled, or that hold special interest. First comes Item #2, Warrant 2553, HERE. As has been my practice in the past, I'll list a few items that caught my eye as I scroll down through the list. Bucknam Infrastructure Group, Inc. - $7,764.07 - Pavement Mgnt Prog. You will note that we spent more than $160,000 on legal fees on this warrant. Gee, what a surprise! Item #4, HERE, is the 2015 Fall Field Audit Report and Amendments to the existing field use and allocation policy. Under normal circumstances I guess I understand why this on is on the Consent Calendar except this is a hot-button item and, having read the staff report, leaves me with a big question. Four organizations have not met the residency standard for their groups so apparently will not have fields assigned for the fall. However, part of the staff recommendation is to loosen up the residency requirements for Group 6, and three of those four would now qualify. It's not clear if that has been taken into consideration for them. Item #5, HERE, is a resolution for an application for a Community Based Transit Circulator Program Grant. Using Measure M2 funds, if successful in getting the grant Costa Mesa could receive up to $600,000 for planning and operation of a "circulator" system. See the attachment, HERE, that defines the project, which involves a transit system serving the Lab/Camp area. See the staff report for the remainder of the Consent Calendar items. COIN HEARING ON CMPA CONTRACT - FINALLY! Public Hearing #1, HERE, is the required first public hearing under the COIN ordinance prior to the adoption of the Memorandum of Understanding between the City of Costa Mesa and the Costa Mesa Police Association (CMPA). The details of the agreement, already ratified by the CMPA are included in the staff report. 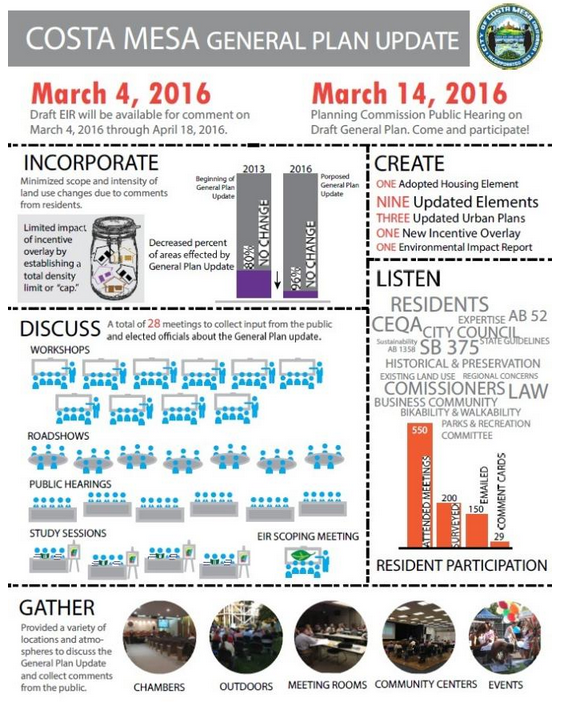 The second public hearing will be held at the council meeting on April 19, 2016. Keep in mind, the CMPA has been working without a new contract for more than 600 days. Changes included involve the term of the contract; CalPERS Cost Sharing; CalPERS Retirement Contribution; Wage Increase; Vacation Leave and Sick Leave. Total fiscal impact through the expiration of the contract in 2018 is $1,837,682. See the staff report for the details. And, yes, Mensinger and Righeimer will have to step out of the room for this item because of their ongoing bogus lawsuit against the men and women of the CMPA. Public Hearing #2, HERE, is the appeal of the Planning Commissions denial of a zoning application for a religious and cultural center near John Wayne Airport. The staff report and numerous attachments are voluminous and, since this is a "de novo" hearing - meaning everything starts all over - it could be a long one. The Planning Commission hearing was a long process. See the staff report and attachments for details of each committee and backgrounds of the applicants. New Business #2, HERE, is Animal Shelter Services. The staff recommends that the city maintain animal care sheltering services with the current provider, Orange County Humane Society. This organization has been under fire by the City of Newport Beach and more than a few Costa Mesa residents. The discussion on this issue is going to be VERY interesting. Accept the Certificate of Sufficiency issued by the County of Orange Registrar of Voters regarding, "An Initiative To Require Voter Approval On Certain Development Projects". 3 - Order a report pursuant to Election Code (EC) paragraph 9212. 7. Its impact on agricultural lands, open space, traffic congestion, existing business districts, and developed areas designated for revitalization; and or 8. Any other matters that the legislative body wishes to be considered in the report. And, we presume that, even though the City Council has NOT heard the item yet and NO official decision has been made, somebody decided to get cracking on the report because the staff report tells us that CEO Hatch has already retained a consultant, Keyser Marston Associates, for an estimated $15,000 to perform the analysis to help with the report. The report is required by law to be back before the City Council within 30 days, so it will be presented at the council meeting of April 5, 2016, at which time the council will either adopt it within 10 days or authorize placement on the November 8, 2016 ballot. WHO WILL WASTE TIME DISCUSSING THE INITIATIVE? This should be very interesting. I find myself wondering who will stray off the reservation and critize the issue itself, which will be a HUGE waste of time, since WHETHER it goes on the ballot or not is NOT up for discussion - it WILL be either adopted by the council or placed on the ballot without alteration. Let's see who does the grandstanding on this issue. LIGHTING AND TURF FOR THREE SCHOOLS? Next up will be New Business #4, HERE, a feasibility study by Councilman Gary Monahan for lighting and synthetic turf at at Kaiser Elementary, Davis Middle School and Parsons School. 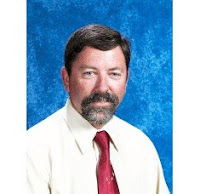 $200,000 has been allocated in the current budget for this activity and $45,000 is being requested to come from that account to be delivered to the Newport Mesa Unified School District to commence the study. The final item on the agenda, New Business #5, HERE, is requested by Councilwoman Katrina Foley, asking for council approval of a condition to require current and future City Council appointees to the City's commissions and committees to submit to a fingerprinting procedure, via LiveScan screening, prior to them taking their respective positions. And that - certainly very late in the evening or early morning - will be that. It will be another meeting where bringing a pillow and packing a lunch is advised. The Costa Mesa Planning Commission meets again beginning at 6:00 p.m. on Monday, March 14, 2016 in City Council Chambers at City Hall for a VERY important meeting. You can read the full agenda HERE. Right off the bat the commission will receive a Code Enforcement Update, HERE. I think you'll find this staff report VERY interesting. It tells us about the recent reorganization, the new reporting relationship - it reports directly to Development Services Director Gary Armstrong - and the combination of resources under one umbrella, the Code Enforcement/Community Improvement Division. Read the report. Next up is the Public Hearing, #1, HERE, for the 2015-2035 General Plan and Draft Environmental Impact Report. In an earlier report I told you that the General Plan is over 400 pages and the Draft Environmental Report is over 1,200 pages. Click on those titles if you want some "light" reading. 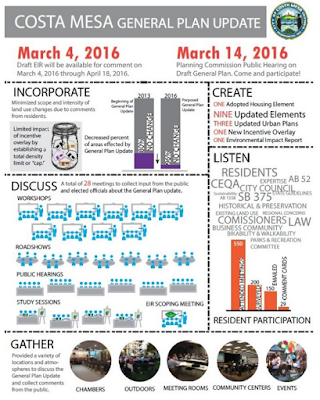 The 45 day period for public input has commenced and will end on April 18, 2016. Public Hearing #2, HERE, is the Amendments to the SOBECA and Westside Urban Plans. This will be another lengthy hearing due to the nature of the changes recommended and the likelihood of many members of the public wishing to offer their views. Take a few minutes to read through the staff report and digest the changes recommended. It's likely to be a long evening Monday. Bring a pillow. File this one under "Local Boy Makes Good". That's really the only way you can describe the career of Thomas E. Gazsi, Chief of the Los Angeles Port Police. 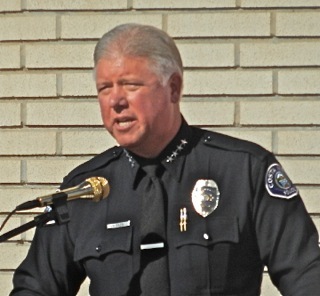 As regular readers here know, Tom Gazsi - a long time resident of Costa Mesa - had a long and illustrious career in our neighboring city , Newport Beach, before he became Police Chief of Costa Mesa. We've written many times about the challenges he faced when he took over the department which was under siege by a couple elected leaders. The toxic atmosphere created throughout the City staff, including the CMPD, caused seasoned officers to depart in droves - retiring earlier than anticipated or leaving to other jurisdictions where their skills and experience were welcomed. After all, most of them had been part of the CMPD when it was recognized as one of the premiere law enforcement organizations in the county. And, Gazsi's attempt to restore the CMPD to it's former glory was hamstrung by a hiring freeze imposed by those elected leaders for nearly a year, which put the department way, way behind the curve once given permission to recruit. Two years ago he gave City CEO Tom Hatch a detailed plan for the resurrection of the department - a plan that was not acknowledged, much less green-lighted. Nearly eighteen months ago Gazsi was approached about a position as Deputy Chief at the Los Angeles Port Police and, despite his affection for the men and women of the CMPD and the plans he had offered to his boss to bring the department back to the "glory days", the opportunity was just too great to pass up, so he retired from the CMPD and accepted that position - a brand new position in the Los Angeles Port Police hierarchy. After less than six months on the job the Police Chief, Ronald Boyd, found himself with some legal complications so he stepped aside and Gazsi was appointed Acting Chief in April of 2015. 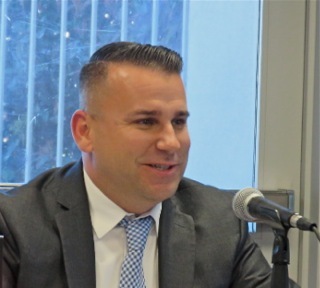 During the fall Boyd retired and Gazsi was appointed Chief of the Los Angeles Port Police in November, 2015 - less than a year after he left Costa Mesa. To give you some perspective on the scope of Chief Gazsi's job with the Los Angeles Port Police, please click HERE to read a profile on him in the current issue of Seapower Magazine. This certainly seems to be a perfect way to round out an exemplary career in law enforcement. Well, the sparsely-attended Costa Mesa Senior Commission meeting this morning at the Costa Mesa Senior Center was full of interesting surprises. Let's lead off with the two biggies. First, Ernie Feeney was nominated to retain her post as Chair of the Commission and Ann Perry was nominated to become Vice Chair. Both were approved by the commission unanimously. 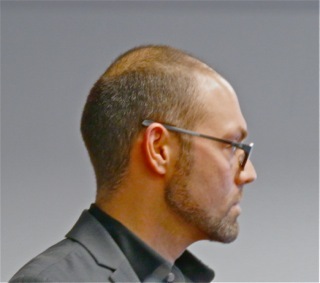 The biggest news, however, came near the end of the meeting when Recreation Manager Travis Karlen announced that he had resigned and would be leaving the City of Costa Mesa on March 17th. He's moving on to greener pastures with the City of Irvine and will be heavily involved in their Recreation organization in the evolution of the Great Park project. This is one of those career opportunities that just cannot be passed up. Karlen has been with the City of Costa Mesa since July of 2014, when he replaced the departed Bob Knapp as Recreation Manager. I've had a chance to get to know him just a little and to watch him in action. It seems to me he has been a very effective manager in the Recreation organization and will certainly be missed. He introduced Justin Martin, who has been with the city just over a year, as the Interim Recreation Manager. It is presumed that The City will do a normal search for the Karlen vacancy. I've also watched Martin in action over the past several months and Karlen is leaving his organization in good hands - even if it might be temporary. I presume Martin will be in the running for the job on a permanent basis. 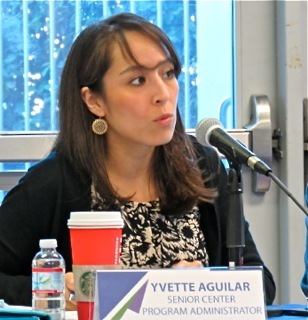 Back to the agenda.... Senior Center Program Administrator Yvette Aguilar presented the staff report on the Bus Reservation issue. She provided a brief history of the issue and covered the statistics included in the staff report. In a nutshell, since the satisfaction level appears to be quite high - 97% - and the one complaint that made up that 3% was from one incident with one individual, the commission agreed to leave the program as-is for now. Staff recommended a review in a year. 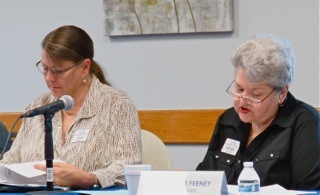 Stella Adkins indicated she preferred a six-month review. Karlen indicated that they were monitoring the program closely and would immediately respond to any kind of problems so a shorter review period probably wasn't necessary. Chair Feeney asked for a summary statistical report in six-months and agreed to a full review again in a year. The commissioners agreed on a 7-0 vote. The second item was the proposal for a new class - a 6-week Sign Language class. Most of the commissioners seemed to be just fine with it - until Public Comments. At that time Mariann Ross Chappell, the applicant for the Sign Language class, stepped to the podium and complained that she had actually applied to teach two classes - the Sign Language class and an E-Bay class. She said she was told by a staffer that they were going to give their current computer class contractor a chance for that class first, and she thought it was discrimination. She asked for the Sign Language class to be set aside until both applications could be heard. As you might expect, this generated a significant discussion among the staff and commissioners. The upshot of this process was that the Sign Language class was approved and the staff would revisit the process on the other issue and come back to the commission at their next meeting. FEENEY WANTS "GOALS AND OBJECTIVES"
Chair Feeney then conducted her discussion on Goals and Objectives. 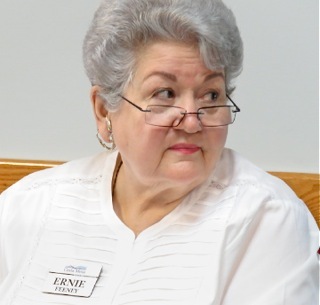 She hearkened back to the days of City Manager Allan Roeder, who would gather council members following each election cycle in an open meeting and ask each to define their most pressing issue. According to Feeney, this process produced a roster of issues that the council would then prioritize to provide a road map for their actions downstream. She wanted to consider a similar process for the Senior Commission. The commissioners addressed this issue and it was generally agreed that it's a good idea. They resolved to try to dedicate one meeting to this process. There were discussions of a totally separate special meeting, but scheduling issues might to be a stumbling block, both from a staff and commissioner standpoint. The staff will evaluate this issue and will likely schedule such an event in the near future, maybe as soon as May. Commissioner John McGlinn offered to take a leadership role in this process. Assistant CEO Tammy LeTourneau suggested this was more properly guided by staff members, but would welcome McGlinn's expertise and support. 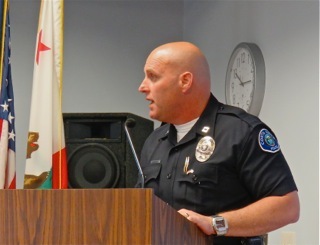 At the beginning of her report to the commission, Aguilar introduced Costa Mesa Police Captain Mark Manley, who spoke to the commission and audience about volunteer fingerprinting. He advised that each volunteer and/or city employee must under go a LiveScan process - the gathering electronically of fingerprint information - which is then submitted to the United States Department of Justice. 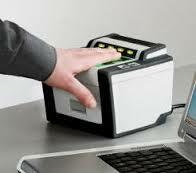 Apparently, in some cases with elderly folks, the definition on fingerprints is insufficient to get an accurate reading. Manley said the DOJ is supposed to advise the individual of that failure so they can re-submit. If it happens twice, then the DOJ will do a "manual" background check on the person. The issue of transportation to Police Headquarters for the test, and the scheduling of the tests, was discussed. Possible solutions are to call for an appointment and schedule transportation. It is NOT possible to bring the apparatus to the Senior Center. There was also a discussion of scheduling a block of time for many individuals if the need is there, then transport them to and from the CMPD for the testing. Feeney suggested this kind of approach be considered and advertised in The Chronicle. A new skylight was installed and sun room flooring was replaced in January. The Grand Hall will be closed 3/28-4/1 to replace the flooring. Membership renewal forms were distributed. So far, 620 renewal forms have been received back. 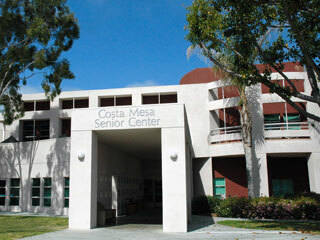 There are currently 1,764 seniors on the mailing list, of which 1,311 are Costa Mesa residents. 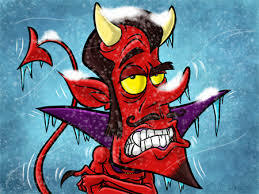 The Albert Dixon Foundation contributed $17,500 for Senior Center Programs, of which $15,000 was earmarked for electronic/technology devises and $2,500 to pay the current MELT instructor. Four (4) Ipads and four (4) tablets have been purchased and a Tech Talk Clinic will be held on March 18 from 11 a.m. - 12 p.m.
Additionally, the Albert Dixon Foundation donated another $50,000 to Senior Serv, which provides nutrition services to the Senior Center. She gave a brief summary of past recent events and of upcoming events, all of which are covered in The Chronicle. She asked for members interested in participating in the Costa Mesa Community Run to sign up. She provided a summary of upcoming Presentations/Seminars, each of which is covered in The Chronicle. An Emergency Action Plan/Fire Drill will be held on April 29th. The Senior Advisory Committee (SAC) will meet on the first Monday of each month at 12:30 p.m. 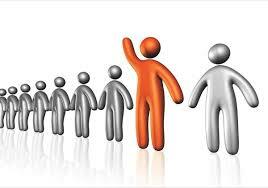 The staff is currently working to expand the Volunteer Program. There were 437.0 volunteer hours in January and 314.75 in February. 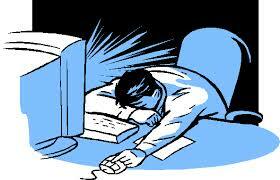 There were 750.75 Programmed hours in January and 745.25 in February. There were 5,180 visitors to the Center in January and 5,159 in February. Kirk Bauermeister congratulated the staff on excellent reports. Stella Adkins asked if a pull-out calendar could be included in The Chronicle. Aguilar advised that there is a calendar available at the front desk and Karlen advised that it's a budget issue, but they would consider it. Janet Krochman suggested that the calendar be made available electronically for those with computer skills. Ann Perry observed that many school sites have solar panels in parking lots and wondered if that's something that could be considered for the Senior Center Parking lot. Karlen said he'd forward the suggestion to Public Services. 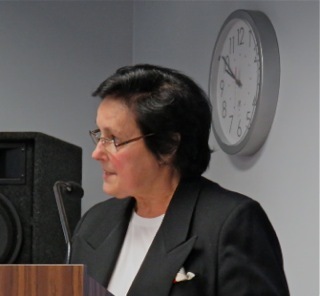 Sue Healey, addressing the Bus Report, expressed concern about the reliability of service from a private company and suggested we consider using City Employees. She said she was looking forward to the Goals and Objectives meeting. She thanked Karlen for his service and wished him well. She thanked the SAC committee, all of whom were among those 8 members of the public present at this meeting. John McGlinn thanked Karlen. He observed to Aguilar that "you're getting better and better every day". 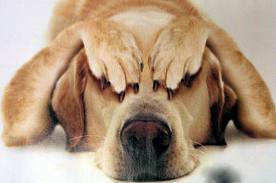 He, too, is looking forward to the Goals and Objectives meeting. Chair Feeney observed how beautiful The Chronicle is getting, and said, "it sure hasn't peaked yet." She asked for copies of the minutes of the SAC meetings for the commissioners. She thanked Karlen and welcomed Martin, then adjourned to the next meeting in May. The Costa Mesa Senior Commission meets again tomorrow morning. The meeting begins at 9:00 a.m. at the Costa Mesa Senior Center, 695 W. 19th Street. The meetings usually last a couple hours and are usually well-attended. The full agenda may be viewed HERE. These meetings are not recorded for play back, so your only source of info will be to attend the meeting or read my report on Wednesday. First up on the agenda is the election of a new Chair and Vice Chair. Usually those positions are held for one year. The agenda item staff report may be viewed HERE. 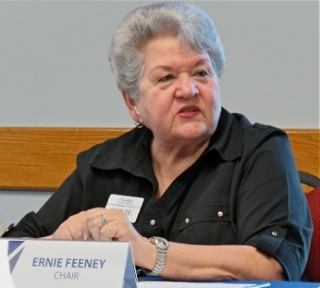 Following public input Chair Ernie Feeney will declare her position vacant and oversee the election of a new Chair. The same process will be followed for the Vice Chair. Following Public Comments on non-agenda items, the commission will proceed to an Old Business item, Bus Reservations Progress Report, HERE. That report includes a lengthy presentation and analysis. The staff is recommending to leave the Bus Reservation system as-is and review it again in a year. Next up is a New Business proposal for a Beginning Sign Language class, HERE. The staff recommends approval. The second New Business item on the agenda, for which no staff report is available, is a presentation on "Goals and Objectives". There is also no staff report for the Senior Center Program Administrator's Report. The commission meets again in two months, on Tuesday, May 10th.